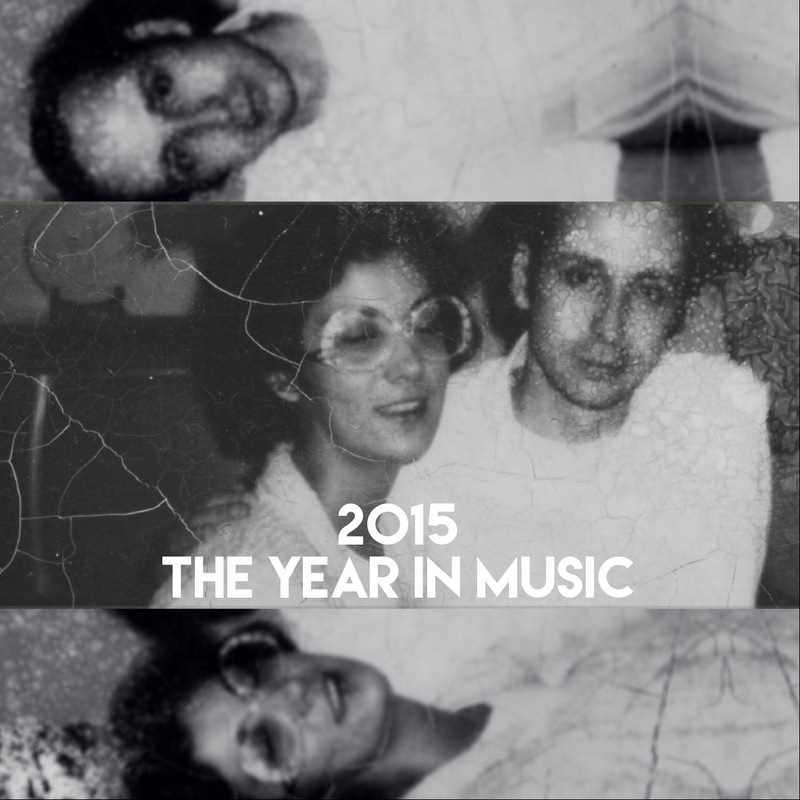 So many… advancements in the world of music were made common in 2015. Apple Music finally launched. Spotify continued to not impress me. Rdio got ready to die. Grooveshark… well… whatever. Shazam, Sound Hound, SoundCloud, AOL Spinner, NPR, Last.fm… music streaming and discovery is a little bit nutty these days. I decided to remain subscribed to Apple Music, despite its design flaws and confusing controls. The upshot is that fellow subscribers can enjoy all 30 songs from my Top of 2015 music playlist. Hooray for you guys! Read on for my top 10 albums of 2015! My choice for the best album of 2015 was cemented early in the year with the release of Sufjan Stevens’ brutal koan, Carrie & Lowell. I was quite possibly the first person to pre-order the album when it went on sale. I also snapped up tickets to see The Soof perform in my town- San Diego. Then the album arrived on my doorstep, fully-formed, like Quasimodo on the steps of Notre Dame. Perhaps the term, “concept album” applies, here. Perhaps it’s more like a breakup album, mashed with a dirge, sort of if you could close the gulf between Beck’s Sea Change and last year’s Morning Phase. Or Warren Zevon’s self-titled 1976 album and 2003’s The Wind. He died on my 20th birthday. Carrie & Lowell is also like Of Montreal’s The Past is a Grotesque Animal, it’s all over the map, yet tightly-bound by the purpose and training behind years of practice and performance. The album is utterly devastating and an ear worm all at once. An odyssey of heartbreak and memory. When I emerged from the opera house after a face-melting extended performance of Blue Bucket of Gold I knew that there could be no doubt about it. Not only is it the best record of 2015, but also it’s Sufjan’s best record to date. What is a poet? An unhappy man who conceals profound anguish in his heart, but whose lips are so fashioned that when sighs and groans pass over them they sound like beautiful music. His fate resembles that of the unhappy men who were slowly roasted by a gentle fire in the tyrant Phalaris’ bull—their shrieks could not reach his ear to terrify him, to him they sounded like sweet music. And people flock about the poet and say to him: do sing again; Which means, would that new sufferings tormented your soul, and: would that your lips stayed fashioned as before, for your cries would only terrify us, but your music is delightful. And the critics join them, saying: well done, thus must it be according to the laws of aesthetics. Why, to be sure, a critic resembles a poet as one pea another, the only difference being that he has no anguish in his heart and no music on his lips. Behold, therefore would I rather be a swineherd on Amager, and be understood by the swine than a poet, and misunderstood by men. Grimes scrapped an entire album between Visions and Art Angels. Must’ve been quite the refinement process, because AA is a juggernaut of constant pop-deformation. The album bristles and crackles with a raw creative energy that all the producers and all the studio finesse in the world couldn’t replicate for other young pop-stars trying to graduate to faux-rebel, damaged-goods astral plane of stardom. I just had some beer. Kurt Vile, formerly of The War on Drugs, has been churning out albums at a steady clip since 2007’s Constant Hitmaker. His latest is a sprawling, rambling opus filled with big, old-hearted men and rockstars who are so self-aware that they regard themselves in the third person and eventually forget their own identity. Just listen to lead single Pretty Pimpin and you’ll be hooked. Thank you, Bombadil, for remaining creative. Although Hold On is not as terrific as All That the Rain Promises or Metrics of Affection, it does have plenty of hooks and jingles to keep you coming back for more and more and more. Paul Thomas Anderson’s documentary about the making of Junun was a transcendent experience, primarily driven by the music in the film. The album is every bit as fascinating as the film itself, and they both benefit as a result. Maybe I will have a sip of wine, now. 2012’s Wondrous Bughouse was a masterwork of garbled lyrics, wrinkled-laundry-pile arrangements, and psychedelic scripture. SHB is more like the hangover after a graduation party. Now what? Make another album but do it with more restraint and awareness of limitations… but also awareness of where the good stuff can take you. With each record, Tame Impala have reached higher than before. Currents is no exception. Outside of every other album in my list (save Carrie & Lowell), this one is perhaps the best cohesive experience. I found it hard to pick songs out without wanting to hear the next one and so on. Times Square. Dan Bejar’s palette has been constantly expanding and contracting over the years. Kaputt was a high-water-mark, and yet, here is Poison Season to up the ante just a little bit more. Chamber-Anti-Folk. That’s what I’m calling it. I don’t care. I’m drunk… almost. Like a lost trove of Disney princess songs scattered across several decades and mixed with some singer / songwriter stock motifs. Aw what the heck, she’s a girl from Richmond, VA. I’ll be she’s been to GWAR-Bar at least once.